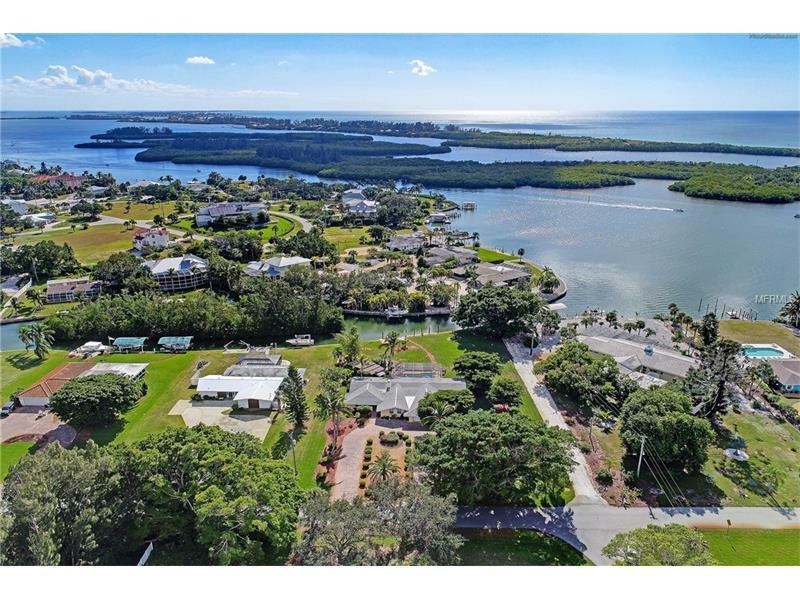 Tropical paradise with views of the intercostal & some of the best deep water dockage with no bridges and minutes to open water. This beautifully updated 3 bedroom 2 1/2 bath Pool home features a dock with a 10000" lift plush tropical landscaping great water views a koi pond with waterfallPaver walkways large lanai and pool outside tiki bar air conditioned pool bath. Your party guest will think they are in a tropical paradise because they are!! Interior features include a updated chef's dream kitchen with great views abundant wood cabinets and lots of counter space newer stainless steel appliances including a wine refrigerator. Large formal dining room cozy living room. Huge master suite and master bath with his & hers vanities walk-in shower and garden tub. The gulf front community of Cape Haze is located just minutes from the 5 beaches of Boca Grande & Englewood. Voluntary homeowner association membership get you access our community center and Don Pedro island dock & private beach for the use of members and their guests. Some of the areas best fishing is right out your doorstep. Boca Grande Pass is only minutes away and is world renown for it's Tarpon & fishing tournaments. Many restaurants are just a few minute boat ride on the beautiful intercostal waterway. So much offer at this price. Hurry will not last long! Air conditioned square footage provided by seller and does not match county records. Living room & master bedroom additions not included per owner.